DIY projects and repairs are quickly gaining popularity among homeowners. The allure of a hands-on job, together with the satisfaction gained from completing one is too enticing for many homeowners to withstand. As an untrained homeowner, moving up to the roof to perform the repairs can place you in a perilous position. You do not want to be in a situation that can eventually cause harm not only to you but also to those who are in the same roof. Aside from the risk of injury, chances are you may also fail to perform the task at hand which may lead to a roof collapse! Roofing contractors are specially trained to make certain that they won’t injure themselves at work. Equipped with the proper safety gear and fall-protection anchorage, professionals are able to move freely without the risk of injuring themselves. Your lack of training will also impact how you handle the problem. A seasoned roofer has probably encountered almost every roof problem there is, so they’ll have the ability to extend the essential roof repair solutions. Performing wrong repairs may result in more problems like molds and leaks, which can cost you more in the long term. Dealing with an expert the first time will help you decrease costs and prevent considerable damage. In addition, a professional roofer has both the knowledge and the experience necessary to perform well a variety of risky maintenance jobs. 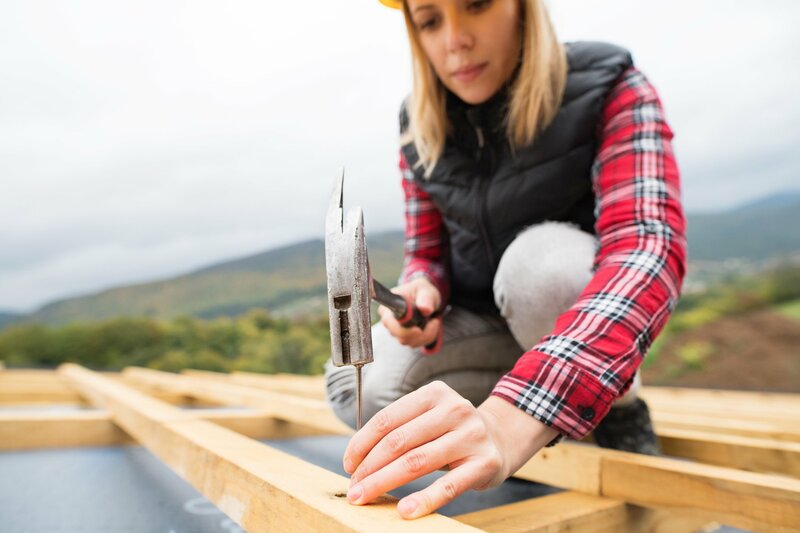 They’re well-trained, enabling them to execute a new roofing installation that will endure, which reduces the chance of potential problems like natural disasters and regular wear and tear. Manufacturer warranties often imply that should someone apart from a professional roofing contractor performs any job or alteration on the roofing, the warranty will eventually be voided. By doing roofing repairs, you do not just put your own house in danger, you also risk invalidating the warranty supporting your investment. Don’t waste your time. As opposed to risking your security and wasting huge amounts of cash trying a DIY roof project, get help from SW Roofing for your home roofing requirements. Our experts will ensure that your roofing needs get the vital solutions. To maintain the standard of our job, our professionals undergo continuous training to help keep us updated on the newest in roof practices. Contact us today to get an estimate!